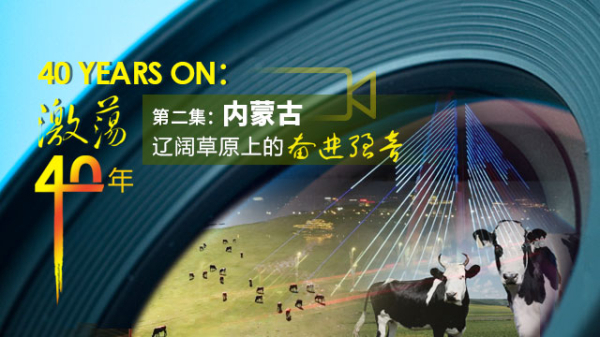 This year marks the 40th anniversary of China’s reform and opening-up implemented in 1978. 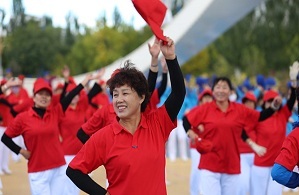 North China’s Inner Mongolia autonomous region has witnessed the tremendous development over the past 40 years, reflected by its increase in economy and improvement in people’s living standards. In 2017, the regional GDP reached 1.6 trillion yuan ($230 billion) with a per capita GDP of 63,786 yuan, which was 75 times and 54 times higher than that in 1978. The income of urban and rural residents increased by 117.6 times and 96.4 times respectively. 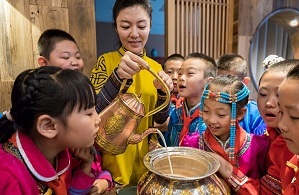 Hohhot is the capital of Inner Mongolia and the political, economic, scientific and cultural center of the region and is recognized as one of China's better-known historical cities. 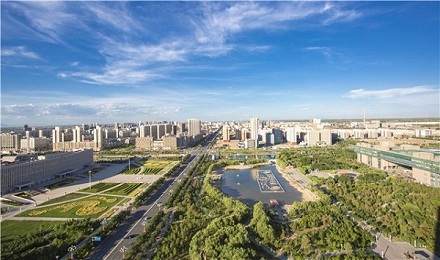 The name Hohhot is Mongolian for "green city". 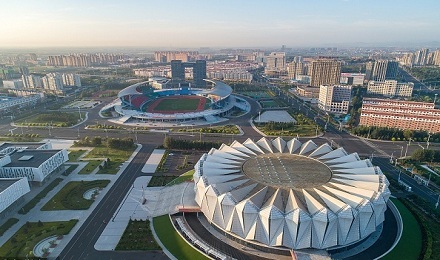 Located in the western part of Inner Mongolia autonomous region, Baotou is the largest city in the autonomous region and an important transport hub. 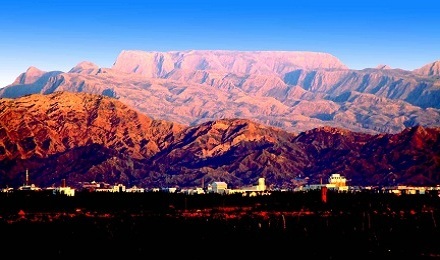 The city is recognized as China’s Capital of Rare Earth and the Grassland City of Steel. 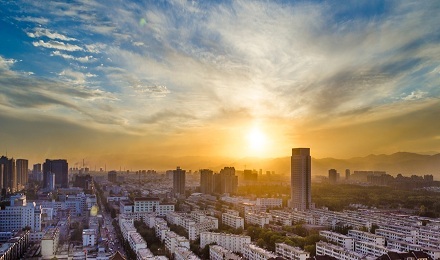 Wuhai city is an emerging industrial city located in the western part of Inner Mongolia autonomous region, lying in an area adjoining Ningxia, Inner Mongolia, Shaanxi and Gansu. 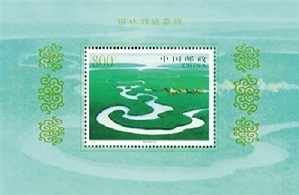 The city was founded by merging the former county-level cities of Wuda and Haibowan with the approval of the State Council in 1976. 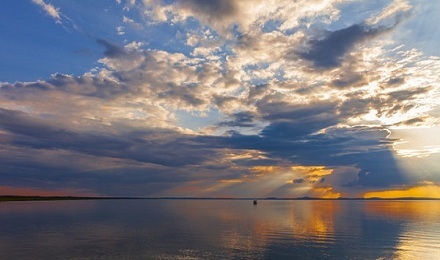 Chifeng is in the southeast of Inner Mongolia autonomous region. In 2017, the city’s regional GDP was 140.7 billion yuan (S20.2 billion) and the public fiscal revenue was 10 billion yuan. 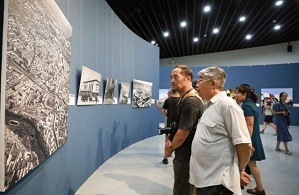 The per capita disposable income of urban residents and rural residents was 29,660 yuan and 10,352 yuan respectively. 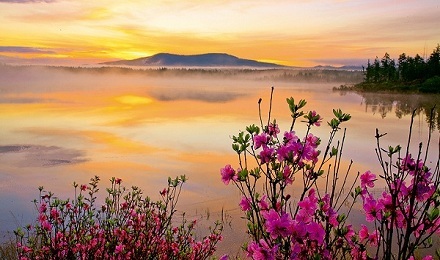 Tongliao is located in eastern Inner Mongolia autonomous region and the western Songliao plain. 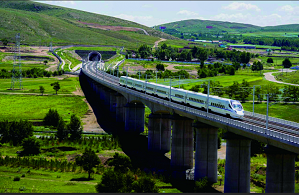 From 2010 to 2016, the GDP of Tongliao increased from 108.8 billion yuan ($15.7 billion) to 194.9 billion yuan; general public budget revenue was 12.83 billion yuan; fixed assets investment above the designated limit reached 147.55 billion yuan; and the per capita GDP increased from 35,000 yuan to 60,000 yuan. 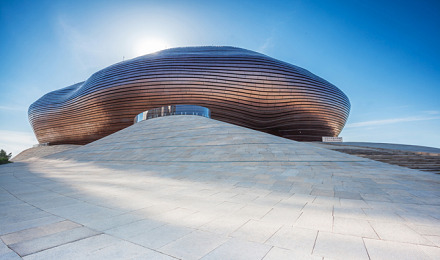 Ordos, a Mongolian word meaning "many palaces", is located in the southwest of Inner Mongolia autonomous region, bordering Shanxi and Shaanxi provinces, as well as Ningxia Hui autonomous region. 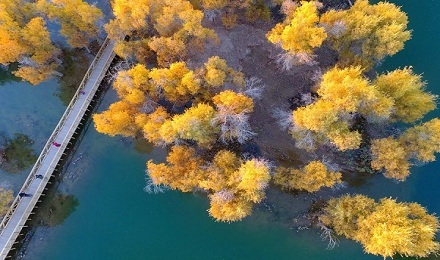 Located in northeastern Inner Mongolia autonomous region, Hulunbuir covers 25.3 square kilometers, accounting for 21.4 percent of the region’s total. It borders Russia and Mongolia. 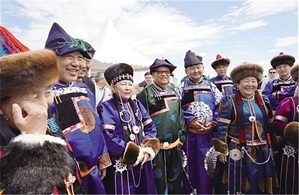 In 2017, the GDP of Hulunbuir reached 118.6 billion yuan ($17.1 billion) with per capita GDP at 46,901 yuan. 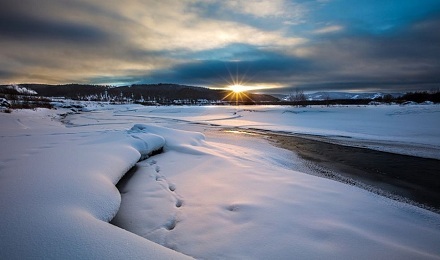 Ulaanqab is located in the center of Inner Mongolia autonomous region. 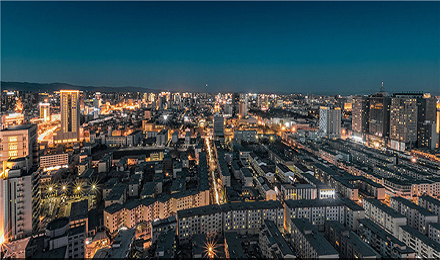 In 2016, the GDP of Ulaanqab was 93.9 billion yuan ($13.5 billion) and annual public fiscal revenue was 5.7 billion yuan. Bayannuur is located in the western part of Inner Mongolia autonomous region, lying between Hetao Plain and Urad grassland. In 2016, the city realized 93 billion yuan ($13.4 billion) in GDP. Its investment in fixed assets was 73.4 billion yuan; public fiscal revenues were 7 billion yuan; and a total of 25 billion yuan of foreign investment was introduced. Hinggan League in the northeast part of Inner Mongolia autonomous region sits in the transition zone from the Greater Hinggan Mountains to the Songnen Plain. It borders Mongolia. In 2017, the city realized 41.8 billion yuan ($6 billion) in GDP with per capita GDP of 26,074 yuan. Established in May 1980, Alshaa League is located in the westernmost part of Inner Mongolia autonomous region. 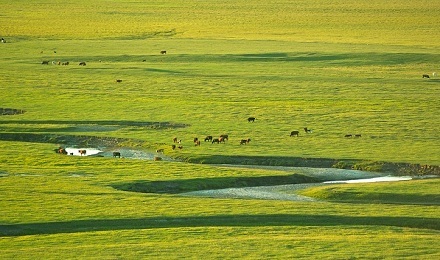 In Mongolian, Alshaa means colorful land. In 2017, the league’s GDP increased by 3.9 percent year-on-year. 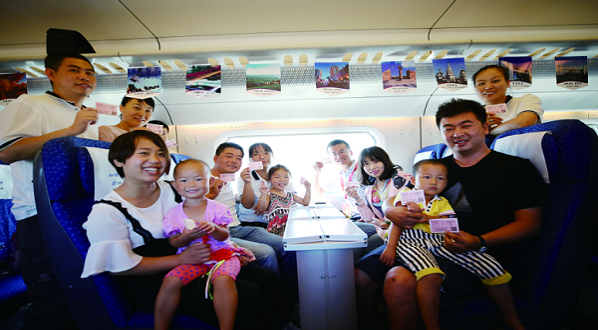 The urban and rural residents’ disposable income was 37,585 yuan and 18,186 yuan respectively. Located in the central part of Inner Mongolia autonomous region, Xiliin Gol League is the grassland region in China with the most complete range of grassland types and vegetation species. Xiliin Gol literally translates to "river at plateau" in Mongolian. In 2017, the league’s GDP increased by 4.3 percent compared to last year. The public fiscal revenue was 7.3 billion yuan ($1.1 billion) and tax revenue was 5.9 billion yuan.